There are many different ways to improve contact centre sales conversion rates. Here are five quick tips to boost sales performance immediately. Generally, longer calls tend to convert better than shorter ones. If a sales advisor is able to keep the attention of the customer for longer, then this may mean that the customer feels comfortable talking to them. With this in mind, Oliver Heaton, Head of Sales at Response Tap, recommends hiring extroverts. As well as resilience, Michael also suggests that you look for potential sales advisors with the following values. A key part of contact centre sales is objection handling. When it comes to this, Michael Melhado encourages us to use what he calls “The ABC Philosophy”, which stands for Acknowledge, Bridge and Close. To help advisors to feel confident with this philosophy, it can be good preparation to prepare for common objections and to get ahead of any further objections that can be anticipated. This will also help to build the prospect customer’s confidence in the advisor, and that is great because people like to buy from experts. When cold calling, sales advisors will need to use good opening lines to keep the customer’s attention throughout the call. The opening line needs to be polite, upbeat and make the customer feel like they will receive some benefit from not hanging up. So, remember to show courtesy in how you talk to people. Start with a nice opening, such as ‘good morning’ or ‘good afternoon’ and then bring in a friendly opening line. With this in mind, Oliver shares his favourite and least favourite examples of greetings that sales advisors use. “Are you free to talk for two minutes?” – Rather than telling the customer that they’re busy, try asking whether they are free. It is a natural reaction to say “yes, I am free”. “Hello. I have an offer for you that you may be interested in, which solves the problem of…” – This includes a friendly opening line and then immediately moves on to telling the customer that they would benefit from listening to what the employee has to say. “Hi, this is [your name] from [your company name]” – This answer seems much more genuine because it provides the employee’s name. “I know you’re busy but…” – Telling the customer that they’re busy will make them think that they are actually too busy to take the call, even if they are not. “I’m not selling anything…” – This does not seem genuine and makes it seem like the customer is being sold something. “You don’t know me, but…” – The best and highest value sales come after a rapport has been built with the customer. If the call centre worker says they don’t know the customer, then the rapport has already been broken before the conversation has even had a chance to start. 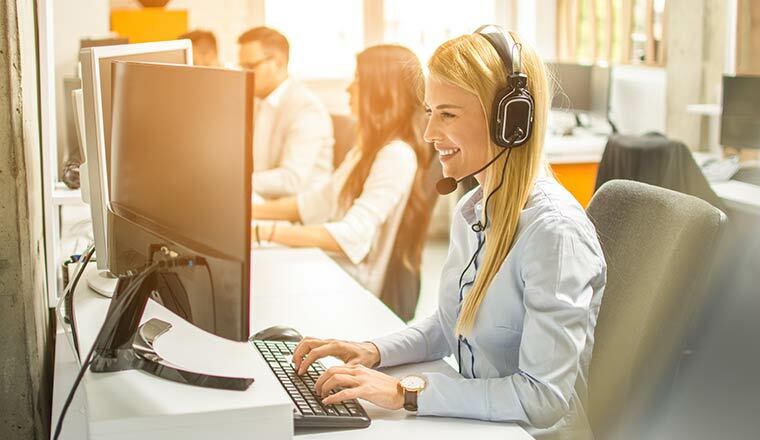 Motivating call centre employees can create an environment where a culture of optimism can flourish. Healthy competitions in the workplace increase motivation and productivity when used in the right way. Examples of motivation games that sales contact centres can play include contact centre battleships, pod wars and “knockout”. Instructions for all of these games and more can be found in our article: “Motivational Games for Call Centres“. However, Michael Melhado stresses that the success of motivational games often comes down to how incentives are created. While many contact centres will offer advisors a hefty bonus at the end of the year, that won’t provide motivation all year round. “Create an incentive plan, because prizes and awards need to be staggered. While many contact centres will offer advisors a hefty bonus at the end of the year, that won’t provide motivation all year round. It is one thing to sell a product, something that sales advisors will be very familiar with, but it’s another to sell solutions. By discussing the problems that the prospect will likely have, it demonstrates that you know the area well – and people like to buy from industry experts. A common mistake is that a lot of sales advisors talk about how good their product or service is, but the prospect, especially in the first instance, is more interested in how you can address their business needs. So focus on what’s in it for them as a good starting point, but you also need to look at who you are selling to, and this is where getting through to the decision-maker is important. Remember to avoid pitching to the receptionist, but to build rapport with them first and use statement questions to add direction to the call. 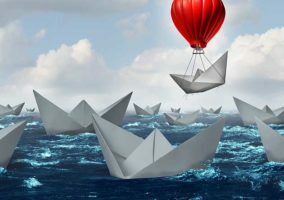 Direction is often difficult to establish when cold calling companies because, in most companies, there won’t be one individual decision-maker but a “decision-making unit”. Role playing is key here, so sales advisors are confident with what to say when they are put through to different members of the prospect company. Role playing is also great in building an advisor’s confidence in solution selling. It doesn’t matter how well a company plans out the workload for its call centre, there will always be times when it doesn’t have enough staff waiting to take every call. Destination CRM research has showed that 80% of customers hang up instead of leaving a message. Therefore, if the customer has to wait too long, then they are most likely going to hang up and call a competitor. So Oliver Heaton recommends call tracking software, which can send call handlers a “missed call alert email” that usually contains the caller’s contact number and which marketing activity motivated their call. This includes the keyword searched if the call originated from a website view from a search engine. 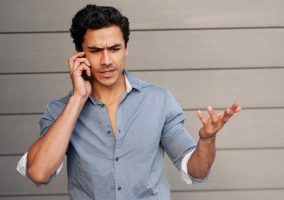 Quite often in a busy sales environment, there is a lot of external noise, and advisors sometimes have to talk over each other to be heard over the phone. Background noise and having to pay extra attention to be able to work out what is being said can be very annoying to a potential customer. 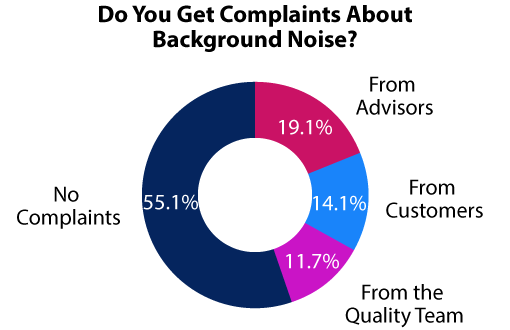 This is a message that contact centres seem to be listening to, as our recent research revealed that more than half of contact centres receive no complaints about background noise. What was also surprising was that when the complaints do come, they come from the advisors themselves. If this is the case in your contact centre, offering advisors a choice of headsets would be one way to improve the quality of sales calls and advisor satisfaction too. To find the best headsets for your contact centre, head over to our headsets directory page. Originally published in June 2013. Updated in October 2018. This was too much helpful, I really appreciate the lines given by your site. I’m sure it will help me to increase my selling, and specially how helpful are the starting lines. Thank you.! thank you so much it really going to help me.i think so. Explained tips and situations are quite a valuable and easy read. I’d recommend. Though, I must admit I’m not sure what to think about Call Tracking section.